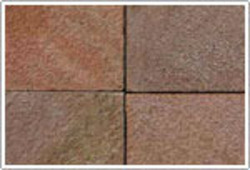 We offer Bottochino Imported Marble, which is best suited for the flooing purposes both in the interiors and exteriors. This Bottochino Imported Marble is highly accalimed for its lustrous finishing and unique color combination among the clients. We are known for manufacturing, exporting and supplying an exquisite range of Marble Our Silver Marble is widely appreciated for its unparalleled quality and sturdy construction. Our valued clients can avail our Silver Marble in varied sizes and designs.